Possibly for the first time on celluloid, the legendary Amitabh Bachchan and the gorgeous Deepika Padukone will be sharing screen space in Shoojit Sircar's upcoming comedy-drama film Piku. Also starring Irrfan Khan, Moushumi Chatterjee and popular Bengali actor Jishu Sengupta, the movie is a heartwarming tale about a father-daughter relationship, played by Bachchan and Padukone respectively. The music of this film has been composed by the talented Anupam Roy, who also had a hand in penning down the lyrics of the tracks along with Manoj Yadav. While he's a newcomer to the Bollywood circuit, Roy is an extremely popular figure in the Bengali Cinema. 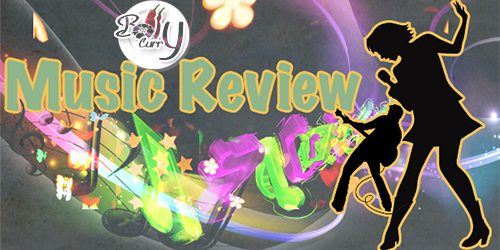 A talented vocalist, writer, lyricist and composer, we at BollyCurry have the privilege to review his maiden Bollywood compositions in Piku. The album of Piku opens with "Bezubaan". Voiced by Roy, the rock ballad is easy on the ears and is easily the hook of the album. It starts off on a cliched note, but the chord progression towards the middle takes it on a completely different tangent, something that stays with the listener long after its over. Next up is the "Journey Song", the first song from the soundtrack that was released. The breezy and peppy beats make it the perfect song for a road-trip with your friends and loved ones. Once again, Roy has lent his effervescent vocals to this beautiful song, and has been accompanied by the talented Bengali singer, Shreya Ghoshal, who has sung the Bengali parts of this song. Easily the best song of the album, the slight folk tune intertwined in the song makes this a must listen for everyone! "Lamhe Guzar Gaye" is the next song in the album, and once again, is voiced by Roy. His voice is a tad bit huskier than usual, and this makes the song very soothing and pleasant to listen to. Coupled with the poignant lyrics, "Lamhe Guzar Gaye" is surely a winner! 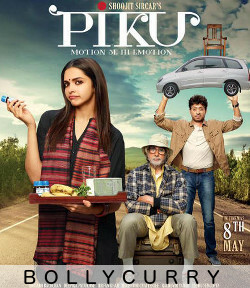 Sunidhi Chauhan lends her voice to the title track, "Piku", a cheerful and upbeat number. The backing vocals and the use of Latin American guitars only serve to compliment the peppy lyrics, making this one of the best songs of the year. The only issue with the song lies in the abrupt ending, which may be disconcerting for some listeners, but the pros of this song greatly outweigh the cons, so this one's definitely going on our playlists! The album comes to a close with the soulful "Teri Meri Baatein". Once again, Roy is the voice behind the song and has done a wonderful job with this placid song. The melody of the tabla infused with that of the drums is an interesting combination and has definitely worked in favor of this track. Roy is an extremely talented composer, singer, and lyricist, as seen with Piku's album. However, we can't help but realise that the melodies are repetitive, and by the end of the album, the similarities become rather stark. Nevertheless, for a first timer in Bollywood, he has done an impressive job and definitely deserves a pat on his back. BollyCurry gives the album 3 stars out of 5. We urge you to tune into your favorite music streaming website to give the soundtrack a listen. Comment below and let us know what you think of the album, and how excited are you for the release of the movie on the 8th of May, 2015. Editor/s: Kalpana K.C. and Gunia K.
Do you have a suggestion or comment for BollyCurry? Drop us a PM at BC_Dropbox today! Ram Kapoor to work with Sunny again in action thriller Bollywood movie climaxes - no logic allowed!